We can recommend cutting-edge modern designs or traditional timeless classics to complement every style and use only the finest quality ironmongery suppliers. It can be an internal improvement to a modern house, updating door and window furniture or the finishing touch to a freshly decorated room. We have a huge range of handles to suit every style and budget. Our products come in an extensive range of finishes. We have a range to suit every budget. We can source a replicate design to suit a period property or a contemporary suite to accentuate a renovation project or eclectic new build. 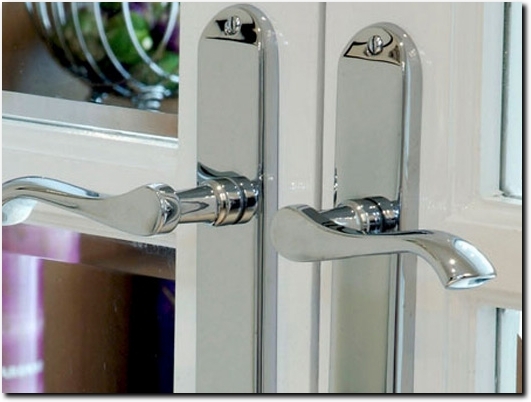 Practical and decorative exterior door furniture in virtually any finish. A full suite with letter box, knocker and numerals will create the right impression before stepping through the door. All our door and window furniture can be supplied together with items such as locks and bolts and a full range of electrical fittings and complementary accessories are available in every range. We offer our services by phone, email or in person either in your home or visit us in our showroom. We can consult architectural drawings, advise on ironmongery requirements and provide samples. Our knowledge, efficient reliable service and commitment to providing high quality ironmongery competitively priced is how we have built our business and reputation throughout Yorkshire. Our prices are the most competitive in the market contact us now for a no-obligation quotation. UK (York) based business - with over 18 years' experience - providing ironmongery products for sale. Website includes links to product catalogues, testimonials, associations, details of business premises, full contact details. Company website has been online since 2012 according to web.archive.org.